Well, can you guess what the airplane-building activity was? Maybe from the title? Yup, you guessed right. 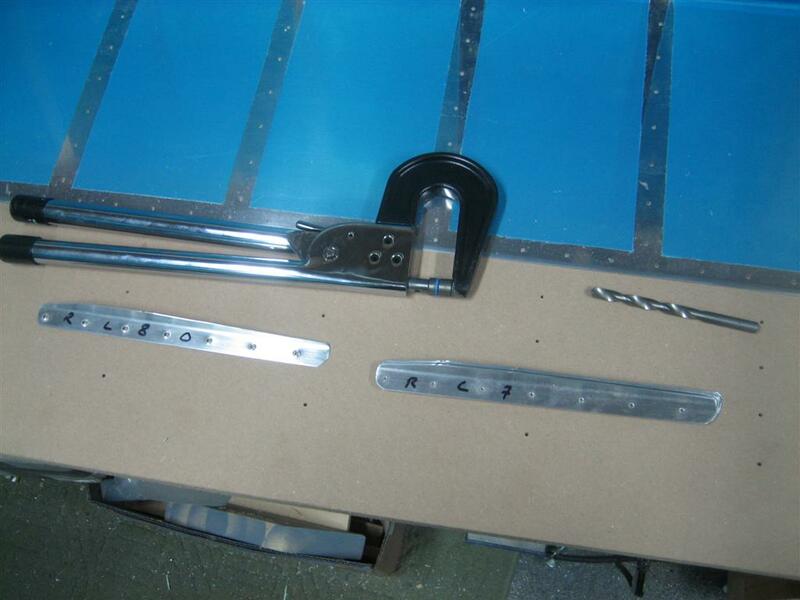 Deburring and Dimpling stiffeners. Here are the tools of the trade. An oversize drill bit, spun in the fingers to deburr. And, my normal dimple dies in my economy squeezer. For some excitment tonight (since otherwise, it would be a little lacking), let’s break out the calculator. 2 ailerons, 2 sides per aileron = 4 aileron sides. 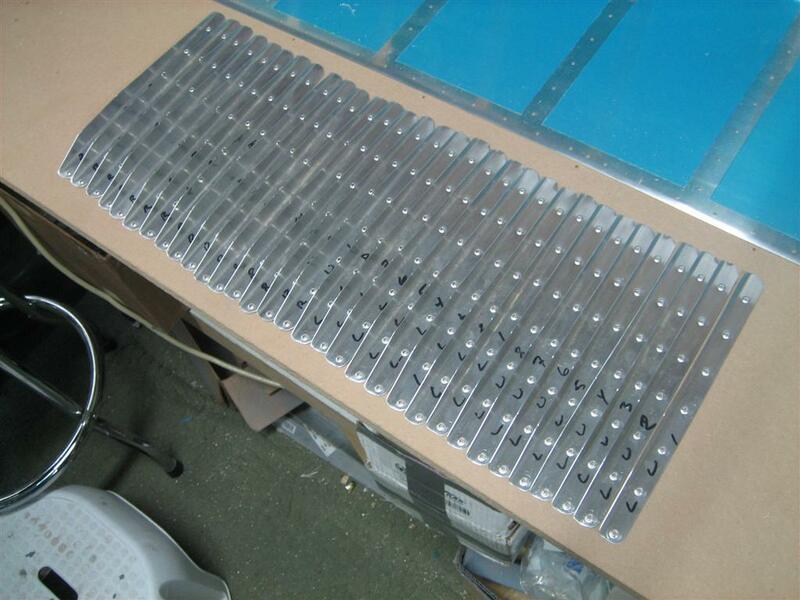 4 aileron sides, 8 stiffeners per side = 32 stiffeners. 32 stiffeners, 7 holes per stiffener = 224 holes dimpled. 448 deburred hole sides, 2 spins per hole = 896 spins of the drill bit. My thumb and fore-finger hurt.